Members of our club worked to raise awareness of the Ebola Crises and how to stamp it out. 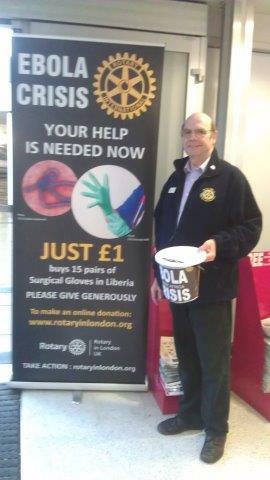 Peter Bradley mobilised all clubs in Rotary District 1130 to collect aid for the affeced countries in Africa. Without Peter, Rotary would not have produced an effective Ebola campaign to aid sufferers in Africa.